How Mobile Phones Make your Life really so Easier? How Mobile Phones Make your Life Easier? It is truly remarkable, how mobile phones (smartphones) have transformed lives across the globe. These palm-sized devices can do nearly everything. There is brand new technology becoming available every year for the users. Smartphones are well worth the price as they have so much to revolutionize life of the masses. If you want to purchase a flagship smartphone, check the latest offers on mobiles to get the best deal. Coming Back to the ways Smartphones have made our Life Easier. 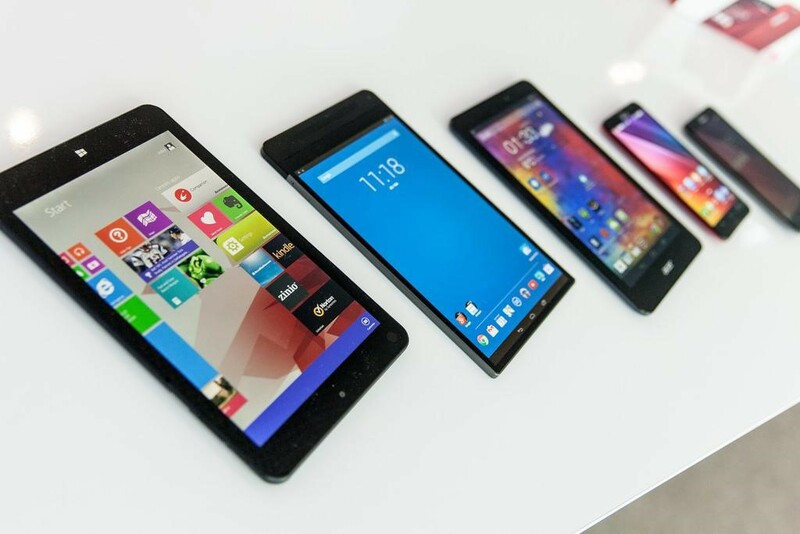 Smartphones are no longer privy of the elite class, today these devices are quite affordable to fit into every budget. The fresh and interactive apps transform a mobile phones into much more than a telecommunication device. These gadgets are slowly and steadily getting more and more accessible to the common people. With a smartphone, you can search information quickly and easily. Want to check the latest news? Google it on your phone. It will simply provide you the correct information in a matter of few seconds. This comes handy in solving an argument with a friend. Putting it in simple words, all the information at your fingertips always. Never miss out any special moment again. No one leaves his/her house without smartphone right? So no need to carry a camera. You can quickly bring up the camera and click the moments you want with your smartphone. The pictures clicked can be easily made beautiful, thanks to advanced editing options. Want to find the nearest restaurant or fuel station? Your smartphone can help with turn-by-turn navigation. All you have to do is a type in the location to get guided to your destination. No need to carry a separate GPS device. Get instant news and weather updates, you can download an application or use the browser of your smartphone for this. Smartphones boast so many applications that make possible for you to check your bank account balance, edit business documents, send/receive emails, and so much more. All these tasks have become so much easier as the mobile technology has become smarter. Modern smartphones are perfectly designed for the consumption of content which emphasizes the entertaining side of these devices. You can download full-length movies, music, books, magazines, and games on your smartphone that too free of cost. The most prominent weapons of a mobile phone are the apps available in the market. These apps range from office utility tools to fun and game apps. Even you can run and manage your business quite far away from your workstation. Surely mobile phones are not only for leisure, but are perfect work tools with their various incorporated features. It has become easier than ever to stay connected with your friends and family. Social media apps on a mobile phones help you defeat boredom, you can also engage with your favorite celebrities. Smartphones have transformed the way we live, work, and play. These all-in-one devices have many advanced capabilities like internet browsing, email, GPS, Multimedia, etc. besides the regular voice and SMS functions. The connectivity is not in terms of phone calls and text messaging, there are many other options available. The instant messaging apps save money as well, besides providing great ease. If you use your mobile for business it allows you to do things on the move wherever you are. The utility features help us become more organized and are thus a key part of every smartphone. Features like flashlight, reminder, alarm clock, countdown timer, stopwatch, and more further enhance the usability of smartphones. You can set an alarm or use the calculator on your smartphone anytime. These features are handy for everyone, even if you are a person who is not a social media addict or a gamer. Some of these features may also be available on your basic phone but they get way better on a smartphone. How can we forget the safety features? That keep us in touch with our near and dear ones. Especially, at difficult times when we need instant communication. Many people just buy smartphones because these devices are cool, others use them to do different things. We have to acknowledge the way smartphones make our lives easier, they have become a vital part of our everyday life, we feel restricted without them. There is no way to deny that smartphones make work easier and faster. They have replaced so many devices around us by their all-in-one utility features. In case you are still reluctant to upgrade to a smartphone, check the tatacliq coupons on FreeKaaMaal to make your experience an affordable one. To conclude, mobile phone is a very important device in various ways. Besides very useful for communication, it entertains and informs us. However, adequate use is crucial spending too much time on mobile phones can be time-wasting and dangerous. How to Get Rid of Duplicate Contacts in iPhone? Thanks for stopping by and like the blog post. Do come back for more articles and drop your comments about the post. Thanks Mike for visiting my weblog and like the post. Come back again to read more articles and put your comments.